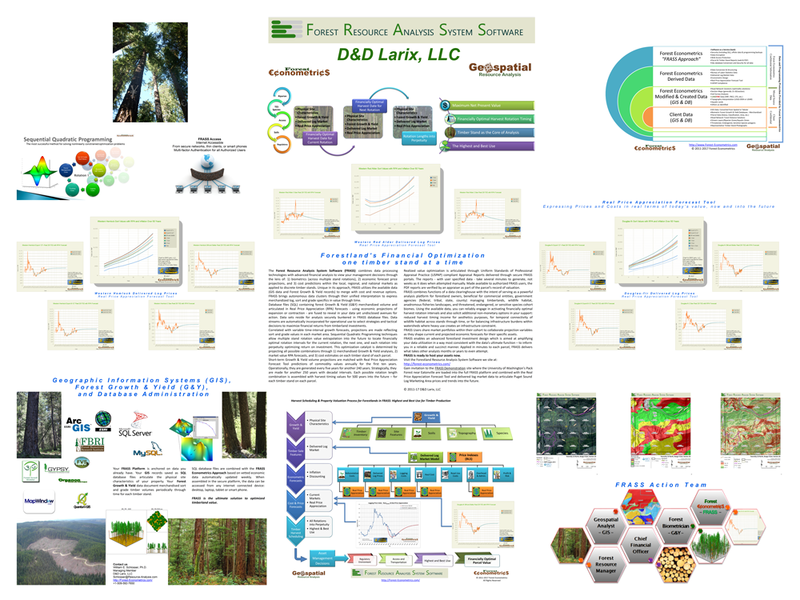 The Forest Resource Analysis System Software approach and some of the tools used in the software has appeared in forestry publications since about 2010 when the software was first deployed on properties. 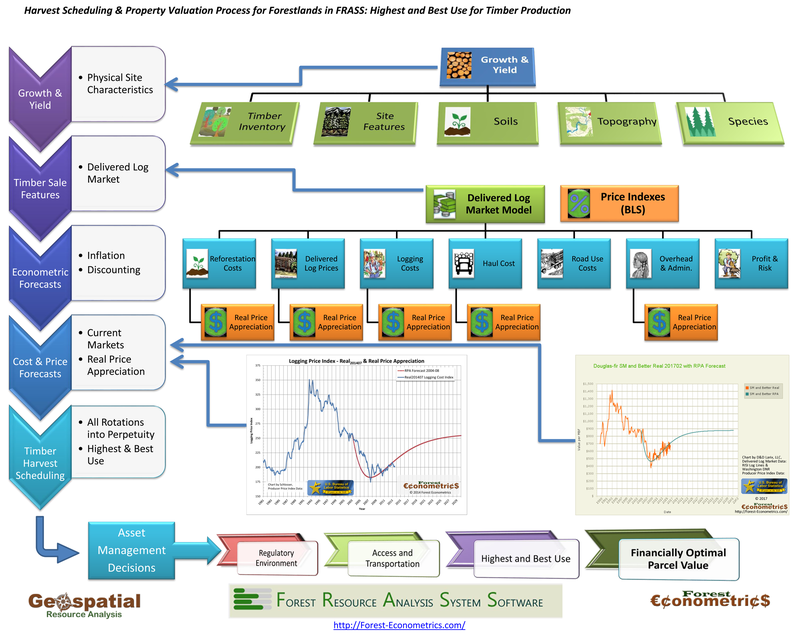 Forest Economics documents presented here give readers some take-away reading to learn more about this platform. Take a look at these articles to discover how others have integrated the approach to their forest management financial optimization efforts. Northwest Woodlands: Spring 2014 – page 12 has an article by Dr. William Schlosser: “Economics of Forest Management”“. Society of American Foresters, Washington State Society annual meeting in Yakima, Washington, FRASS Approach Poster (shown next to this list). FRASS Flyer (advertising and information – 4-fold design). While you are visiting, SUBSCRIBE!